At ICO Whitelists, we follow a simple 3-step process for bringing you quality ICOs. We first discover ICOs that are out there in the real world. We then evaluate these ICOs according to our rating framework. And finally we take the ones we consider worth our while, and communicate what these ICOs are all about to you, our reader. In this post, we’ll go through how we discover ICOs. We’re sharing this process because we believe in transparency. We believe that all sites and influencers in the ICO space should be transparent about how they discover, evaluate, and communicate ICOs. There’s so much noise in the ICO space that most of us will be better off, if we can share best practices, and together find ways to surface the best projects. 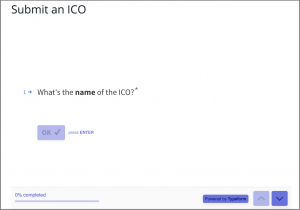 Our most important channel for learning about new ICOs is our submission form. We see 50-70 new ICOs every week come in through our form. So, if you’re launching an ICO and you want to quickly show up on our radar, this is the way to go. Around 75% of the ICOs submitted to ICO Whitelists come from people associated with the ICO itself. That is, founders, people working for the ICO, or who represent it somehow. The remaining 25% are typically from people that would like a second opinion on an ICO, or are trying to contribute in getting more exposure for an ICO. After an evaluation, the ICOs that we consider worth featuring are also offered the opportunity to become an ICO Whitelists Insider – which includes a sponsored post and a founder interview. Many ICOs first show up on people’s radar via Bitcointalk.org. Typically an ICO will be announced in the Altcoins board. ICO listing sites are naturally a good source of ICOs. In the very early stages an ICO probably won’t be listed yet, but once it makes it onto an ICO listing site, you’ll typically have practical information compiled in one place. This is a good overview of ICO listing sites. Most ICOs create their own Reddit space, and many also use the r/CryptoCurrency subreddit. Many pieces of news first make it to Reddit, so it’s a good way to stay up date. In addition, you’ll often see theories, hypotheses, and thoughts by contributors which in some cases might be useful. As always, don’t trust anything you read blindly, and do your own research. Twitter might seem like a strange place to discover ICOs. But it’s fair to say there’s a lot of crypto action happening on Twitter these days. We often ask our followers on Twitter what ICOs they’re excited about. Sometimes we find names among the responses that we hadn’t picked up on yet. 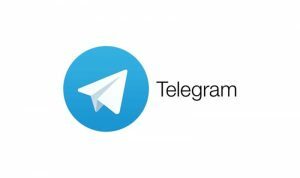 We’re present in many different Telegram groups – some public and some private. Telegram is generally a difficult media to follow, but that’s also where a lot of the action happens. We like to think of Telegram as a sort of “stream of consciousness” from the various ICO communities. There’s a lot of noise, but you can often get a sense of the sentiment surrounding an ICO. The questions people ask can also give an indication of what’s on people’s minds. Pinned messages are also very useful to get an idea of what the ICO itself considers to be the most important piece of news to be aware of right now. In the context of discovering ICOs, we also have our Telegram Tracker which measures the fastest growing Telegram groups for tokens and ICOs. Often a trending ICO will show up on this ranking. By following us on Twitter you’ll get alerts when the ranking has a new leader. We can’t discuss how to discover ICOs without mentioning ICO influencers. A simple search for “ICOs” on YouTube will introduce you to the world of ICO influencers. This might be the most controversial source we use, since ICO influencers are frequently accused of “shilling” tokens. We won’t get into this debate here, but it’s important to be aware of what ICO influencers have to say about upcoming tokens. Some of these influencers literally have 100,000+ people following them, so they can have a big impact on the exposure of an ICO. This article on “Quantifying the Ian Balina Effect” that we wrote together with CoinFi shows this in practice. To understand how an ICO influencer thinks and acts, you can also check out our interview with Ian Balina from November 2017 – before he was a crypto millionaire! What is an airdrop? Essentially, it’s a marketing stunt by a new token where they give out free tokens. In the old days, you’d sometimes just find new ERC20 tokens in your Ethereum wallet. These days, you’ll normally have fill out a form (e.g. via Earn.com), and almost always join the ICO’s Telegram group. A lot of the Telegram growth you see on our Telegram Tracker comes from this. We have yet to feature an ICO that we discovered through an airdrop, and we’re not convinced this is a sustainable way of building long-lasting communities. 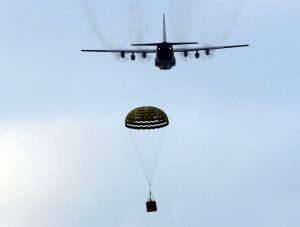 Time will tell if airdrops actually serve their purpose. Finally, keeping in touch with other ICO investors is important to discover quality ICOs. We recommend connecting frequently with others in the space. Despite all the crypto tribalism, people in the crypto space are generally enthusiastic early adopters who are remarkably happy to share their thoughts and discuss the next big thing. Digging deeper to understand how people rate ICOs is also crucial. So, that’s how we discover ICOs at ICO Whitelists. These are not the only channels that exist for discovering ICOs, but in practice these are the ones that we use the moth at ICO Whitelists. How do you discover ICOs? Let us know on Twitter!